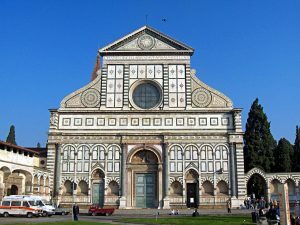 Since the Renaissance, art has been an important tool for recording the physical and built environment for posterity. 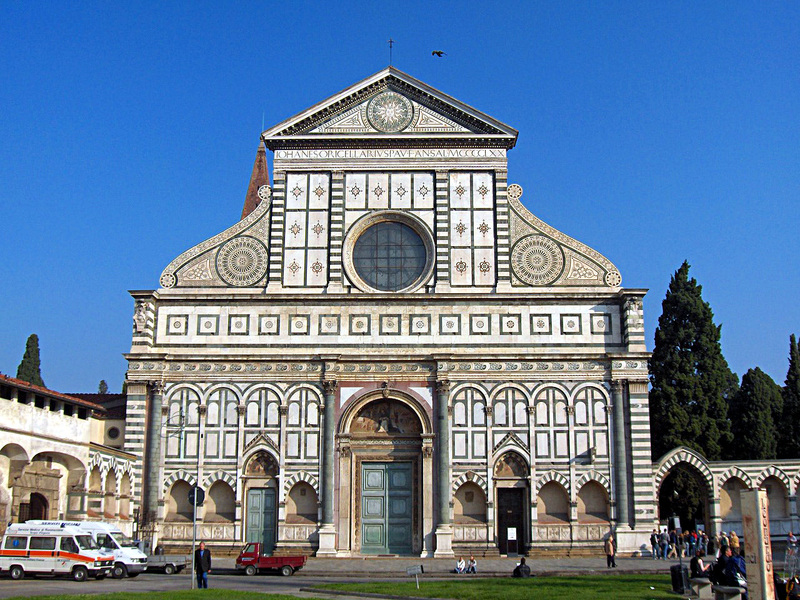 Since the Renaissance, art has been an important tool for recording the physical and built environment for posterity. In fact, historian Rosemary Sweet claims that the act of taking ‘notes and drawings of any and all antiquities before they were lost’ was understood to be an act of preservation in the seventeenth and eighteenth centuries, when antiquaries and chorographers recorded local histories and topographies in books. The practice of pictorially recording historic structures has not faded as a tool for modern preservationists, either. The Historic American Building Survey (HABS), a program by which drafters create architectural drawings and take photographs of historical structures, was the first preservation program begun by the American government, in 1933. Preservation organisations across Europe have similarly relied on drawings and photographs to document important sites of architectural and cultural value. In the twenty-first century, however, such documentation is usually regarded as only the first step in preserving a historic site, while in the seventeenth century, documentation was often considered to be an adequate form of preservation. The understanding of the importance of art and documentation to the preservation process has not completely shifted, however. Preservationists understand that historic structures, and even those considered to be of exceptional historical value either by government-approved listing bodies or by local communities, will continue to be lost to the threats of time or development, and so documentation continues to allow preservationists to ensure lost buildings are safeguarded in the historical record. Historic England holds millions of photographs, many of which are viewable online. 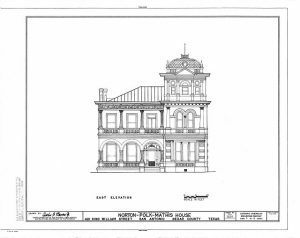 HABS catalogues all of their surveys, measured drawings, and photographs in the Library of Congress, and most of these entries are also available online. Such ease of public access allows amateurs and professionals alike to research historic structures that are extant, but also those that have been lost. Some artists have applied the spirit of preservation programs like HABS and Historic England’s lists to their own works, however, calling the definitions of preservation into question. British artist Ed Kluz is well known for mixed media collages that model historic houses that no longer exist or are currently in ruins. He exhibited ‘The Lost House Revisited’ in Kent in 2014, and in 2017 he exhibited ‘The Lost House Revisited II’ in London, to correspond with the publication of a book, The Lost House Revisited, that compiled collages from the two exhibitions and presented them alongside commentary from architectural historians Tim Knox and Olivia Horsfall Turner. Kluz’s collages are meticulously researched, using archival drawings and written descriptions to recreate demolished buildings as accurately as possible, although he sets the collages on painted backgrounds that do not attempt to recreate the landscape that would have surrounded the subject houses in the past. The resulting images are both stark and fanciful, and the contrast between the sweeping openness of the background and the detail of the collages make the houses seem otherworldly, as if suspended from reality. Works of art such as Kluz’s contribute to ongoing debates about the nature of historic preservation. Kluz’s collages serve as small-scale recreations of structures that modern viewers are unable to experience in situ, and such works of art can increase public awareness and understanding of historic buildings and landscapes. In historic preservation practice, the reconstruction of non-surviving structures is a controversial method of treating a historic property. In the United States, according to the Secretary of the Interior’s standards, reconstruction can be used when ‘documentary and physical evidence is available to permit accurate reconstruction with minimal conjecture, and such reconstruction is essential to the public understanding of the property’. Sites like the reconstructed historic centre of Williamsburg, Virginia are examples of this sort of historic preservation, but it nonetheless remains controversial. Such reconstructed sites are not as common in Britain. Ed Kluz’s collages, although art, indeed follow many of the standards for reconstruction. His use of documentary and physical evidence removes a good deal of conjecture from the creation of his art. 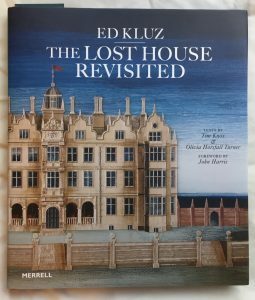 In his introduction to The Lost House Revisited, Tim Knox acknowledges the growing public interest in the sorts of country houses that Kluz treats in his art, and the collages Kluz creates are a form of reconstruction that increases public knowledge without raising the serious issues that physical reconstructions face. In The Lost House Revisited, Kluz delineates some of his inspiration for recreating lost structures through collages, saying, ‘to visit a site and revisit a house in the imagination and sense its scale and form is a creative act in itself. … It is not nostalgia that motivates me, but more a wish to sense the past as a performance, as a theatrical and peculiar act’. Kluz’s motivations are not dissimilar to the creative impulses that inspired many of the country house architects whose works he has captured in his collages. British country houses used architecture strategically and performatively to make statements about their inhabitants, and Kluz follows in that tradition with his art, using mixed media, light, and colour to make statements about the lost architecture. His work emphasises that even in an age of photography and fairly strident heritage protections, art continues to play a valuable role in historic preservation. Originally published by the History to the Public under the terms of a Creative Commons Attribution-NonCommercial-NoDerivatives 4.0 International license.